I’ve been assigned guard duty at my cousin’s wedding tomorrow, in case her mother-in-law shows up to stop it. Why me, I ask? ~Me to MM, on chat. What was that again about Parsis being peaceful people? 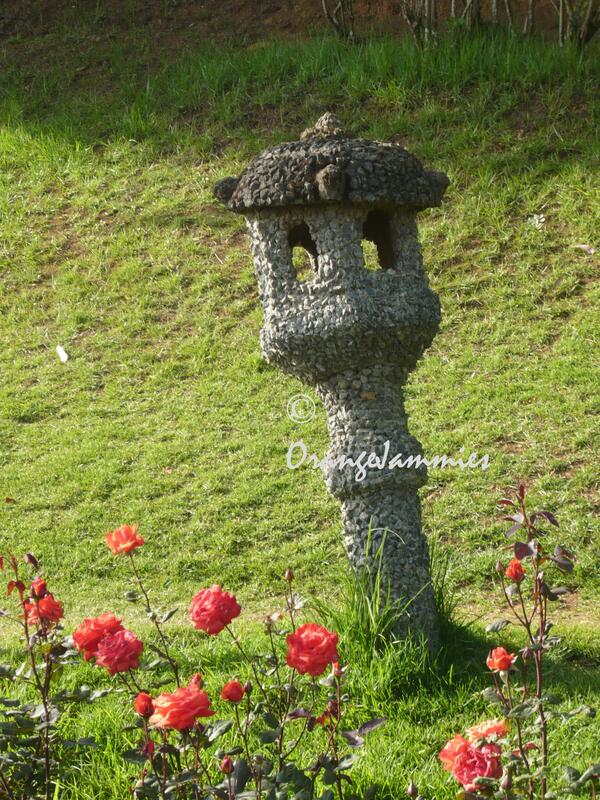 At the Ootacamund rose garden. Is an engagement anniversary a happy event or does a faint sense of tragi-comedy permeate the occasion? The jury’s out. Vote in. I am jealous. Of happy people. Not the ones who have it all, or are beautiful, or accomplished. But the ones who find it so easy to live in a permanent state of thrill, who pluck strains of joy out of the ether and plant them in their backyards. The ones who insist on being euphoric. Who slip into contentment like silk over skin.The ones who don’t have their radar trained on discomfort, pick up on melancholy or carry a goatskin bag of pathos straining to burst. The ones missing a depressive gene. Who take curry on ceilings and the loss of ways of living in their skip-hopping stride. And have the temerity to smile through it all. And make me look at them warily and mouth “How?” while their limited processing capacities, mediocre life and sorry choices mock my wellsprings of angst. I can hear the taunts & chuckling all the way home and their sunshine gleams behind me, an even deeper shade of green. But my sliver of glee dwells in knowing that you’re the one person in the world who will absolutely understand. And I toss happiness one last pitiful glance and speed-dial your number. Updated to add: The Science of Lasting Happiness, an article in the Scientific American magazine. The Boy is currently in the U.S. of A. My old home. The one of mixed feelings and an avalanche of memories. The one I gift-wrapped my twenties for and offered with all the good faith only a 22-year-old who’s never left home can muster. The one that flung me in the air, picked me up, let me down, set me free, tied me forever. And four years after I left on that flight from Logan, I plead the same pointless questions on repeat: How is it there, tell me… How is it, the vibe… How is it, the feeling… How same, how different… knowing full well that my former Europe-dweller can only see it with the eyes of a frequent visitor while I crave a resident’s perspective. Specifically, my own. (via MM) and something forbidden unfurls deep inside and you know the marshland has begun and you’re one foot in. The Boy comes back late tonight. And I’ll ooh and aah over my shopping list. But all I’ll be wondering is how it is there… tell me… How is it, the vibe… How is it, the feeling…. How same, how different… And some part of me will be glad not to know.